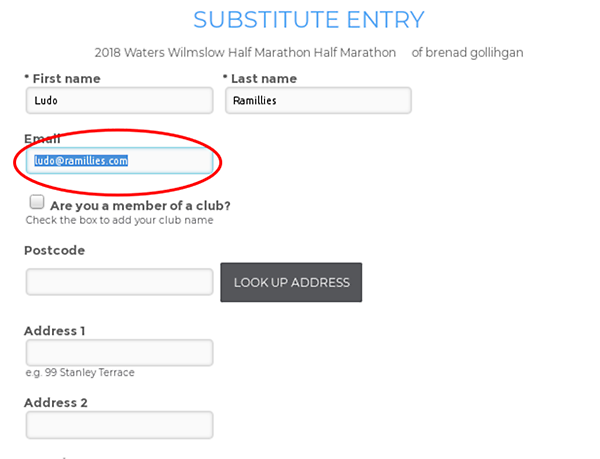 Now click the 'substitute entry' button at the bottom of the form and the entry will now be in this person's name rather than your own. 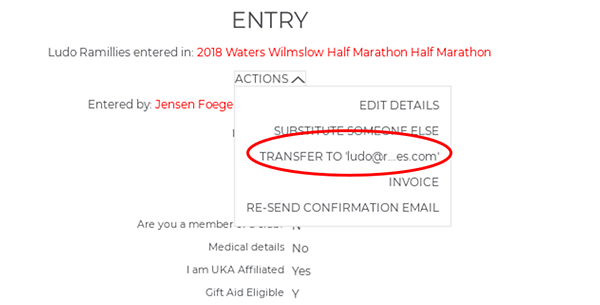 They will receive an email with a link, and once they click on it and set up an account (or log in if they already have an account) the entry will move across from their account to yours. At which point they can amend their own details etc.